UK: Come to London in October! 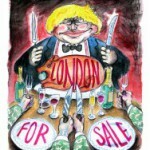 Say No to MIPIM and AUSTERITY, Yes to Housing Rights! 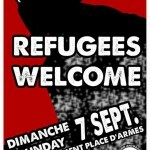 The “London Radical Housing Network” supported by international activists who try to build a “European Action Coalition for the Right to Housing an the City” have called for transnational action and meetings at the occasion of the real estate fair “MIPIM UK” in October (17th – 2oth). Here is their call in it’s 29th August version. 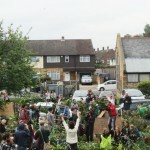 Nearly five years later the group has cleared 30 tonnes of rubbish and runs a popular community space called Grow Heathrow with a bicycle workshop, food-growing club, renewable energy courses, and an art space. 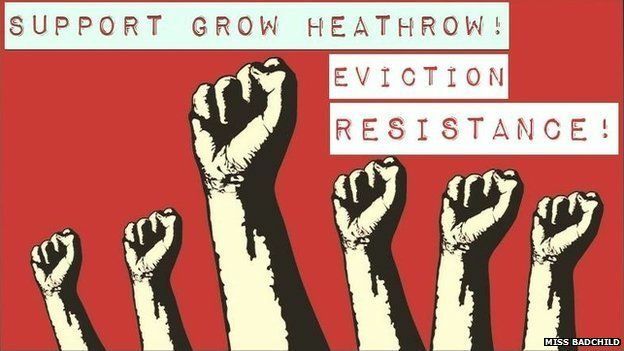 On Friday the 15th of August, after a three year court battle, bailiffs arrived for the first time to evict the group and were met with nearly 200 people supporting Grow Heathrow to continue the project. 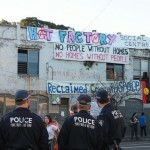 Eviction Resisted successfully on Friday 16th August. From the tower I couldn’t see what went on at the main gate, but the whole site was secured by a good number of folk (50 – 100 odd?) 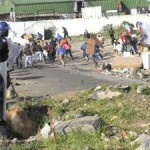 and a local 15 year old d-locked herself to the front of the barricaded gate. Lots of music and fun was had by all!! 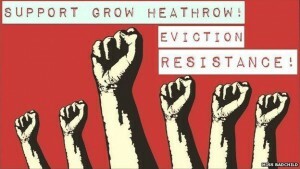 WE DID IT, TOGETHER WE RESISTED AN EVICTION TODAY! Some courageous occupiers and supporters made the decision to barricade and defend as much as they could a space full of history, dreams and resistance. We are currently occupying the Sixth Form College Building on Newport Road, and transforming it into a space for the community to use. We have been working towards an open day to show people the work we have done and explain what we are about. We are doing all this on a tiny budget and learning as we are going. Our lives aren’t perfect and our project might not be perfect but we’re building together, putting aside our differences, like we hope everyone can, and creating something beautiful, unique and community based. Today, August 1st, one hundred Golden Dawn members attacked our squat, the Epavli Kouvelou, with the tolerance of the Greek police. 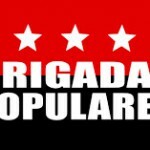 Zadruga Urbana (Urban Cooperative in English) embodies the idea of an urban-agrarian platform that aims to connect collectives and individuals in order to improve self-sufficiency through direct action. It is based on shared principles of horizontality, autonomy and self-organization. Our vision is to bring together individuals and collectives regardless of previous experience, in a non-hierarchical way, to promote autonomy in local food production and freer access to public land.